Go ahead and hammer the rocks with it. The Rock Hammer eats rocks for breakfast! 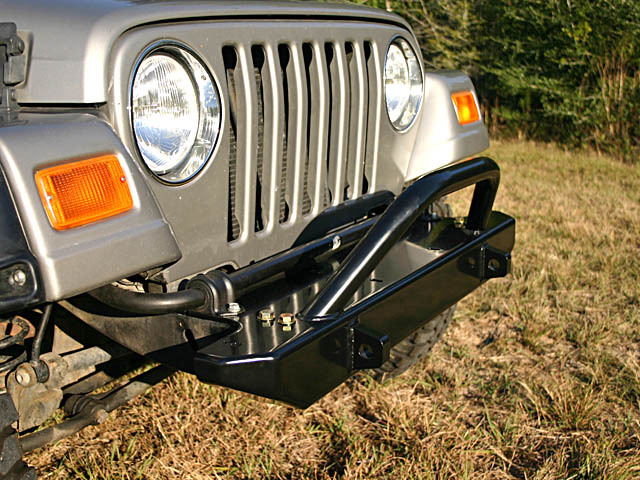 The ShrockWorks Rock Hammer Jeep Winch bumper provides serious protection for your Jeep. 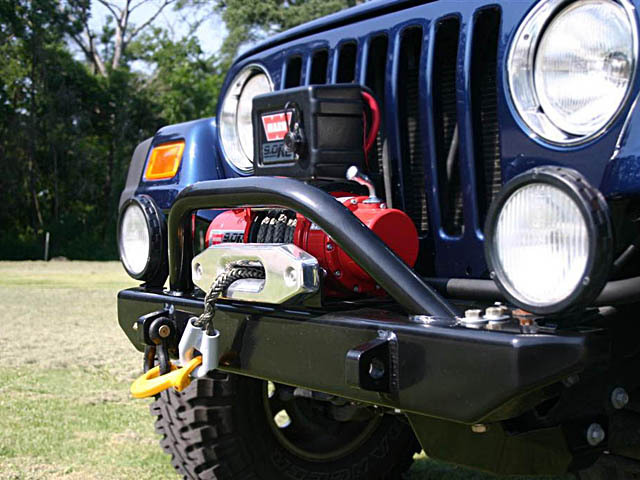 The medium height central tube on the Rock Hammer standard version provides great winch protection and gives your Jeep a stout low-key look. 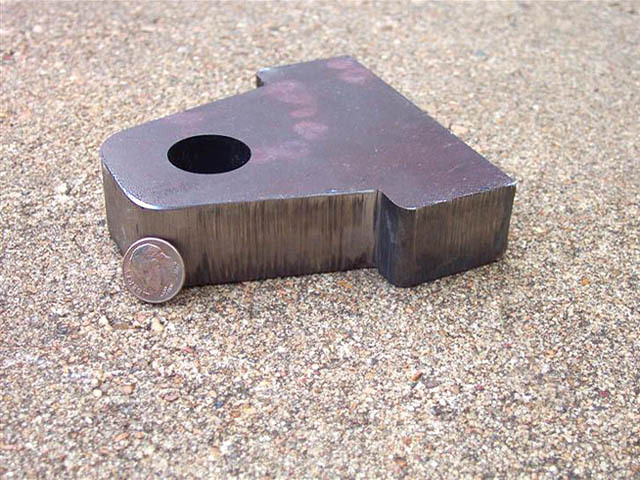 The main body of the Rock Hammer is made from 1/4" thick steel plate, laser cut & CNC bent . You get the best of both worlds. Custom Jeep Bumper fit, with computer controller precision. 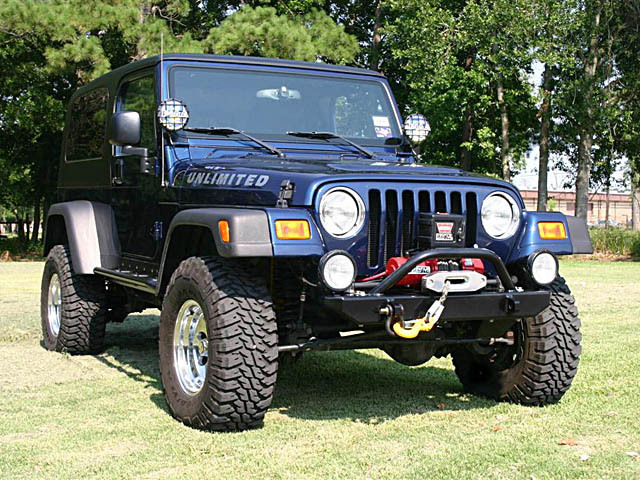 Computer FEA (Finite Element Analysis) shows this bumper to be considerably stronger and more dent resistant than the typical 2x4 3/16" rectangular tubing used in most Jeep bumpers. This is something most rock crawlers will really appreciate. Winch Ready! No winch plate to buy. Many bumpers ( i.e. 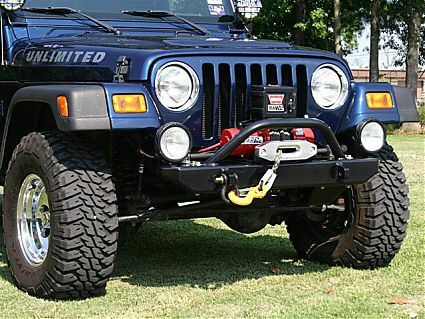 Warn) require a separate winch plate, which can cost $150 or more! Not this one. All you need is the fairlead mount, which is priced very reasonably. 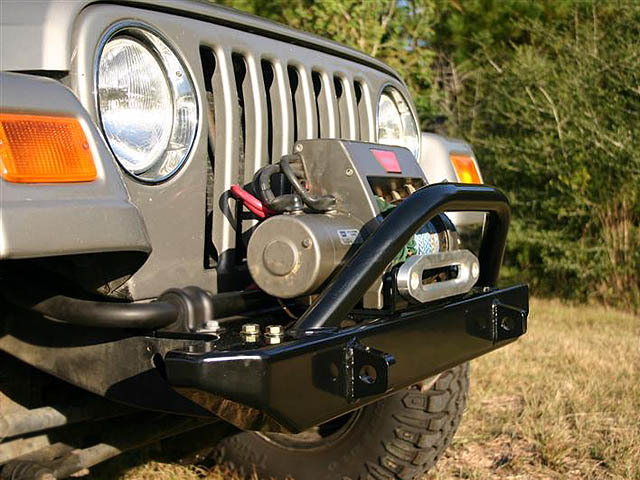 Eliminating the separate winch mount also positions the winch lower, giving more airflow through the grille. The optional fairlead mount bolts on with the winch. 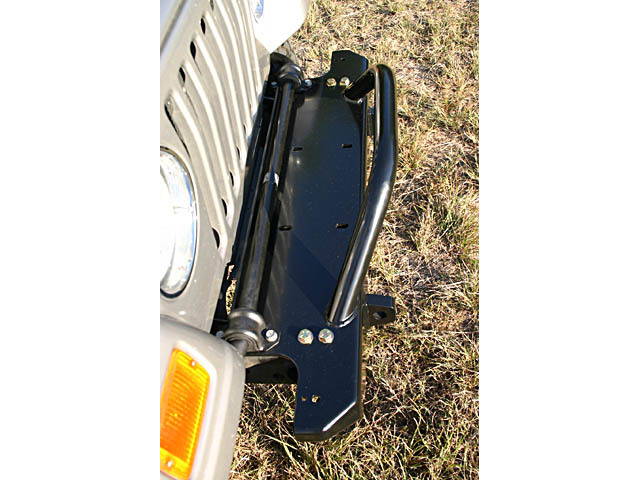 This leaves a flat, clean top surface if your not ready to install a winch yet. Recovery points accept std. 3/4" clevis shackles. They are a full 1" thick and welded front and rear. If that isn't strong enough for you, their shape prevents them from being pulled out even if they weren't welded at all! The tube work uses the same tough 1.75" x .134" round tube used in the legendary ShrockBars Rock Sliders. All RockHammer bumpers are pre-drilled to accept factory fog lights or aftermarket lights. - 1" Thick Steel recovery points, welded front and back. 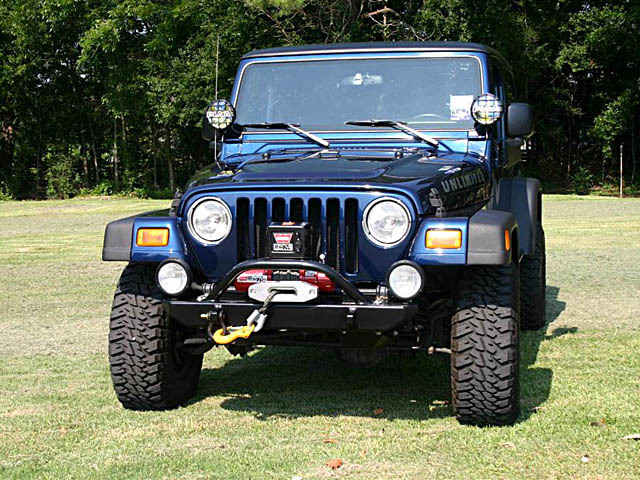 - Winch Mounting pattern: 4.5" x 10"
- The 9.0 RC shown in some of the pics requires some mods. This thing is appropriately named. It's pretty much indestructible. I have beaten mine to heel and back on the Hammers trails and have not managed to inflict even a slight dent in it! For anyone not familiar with the Hammers, it's as brutal as it gets and home of the "King of the Hammers" race. The thing looks great too. Thanks Jim for the excellent product and answering all my questions!